In this episode Larry & Steve talk with Dean Herden, one of the most respected caddies in Women’s golf, and find out why you should never wear caddie overalls in a Japanese toilet. The boys look at Orange in the NSW Central West, home to great food, great wine and some great golf courses. 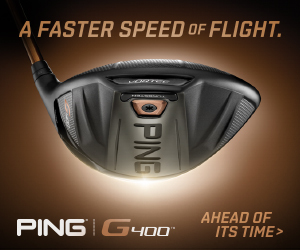 We review the Ping G400 Max driver, and Larry’s tip is all about moving forward and how that helps your golf swing. Larry also looks to make more enemies by having a bit of a spit about tough pin placements. Isn’t the game hard enough already?